The Transportation Security Administration unveiled Monday its weirdest and most dangerous checkpoint finds of 2018 and it turns out that two local airports were among the locations where agents made the most unusual finds. One of the strangest finds had little to do with the object found, but rather where it was found. According to the TSA, a traveler passing through a security checkpoint at LaGuardia on July 6, 2018, was traveling with a child in a baby carrier. When the carrier went through the X-ray, TSA officers discovered a sharp kitchen carving knife “artfully concealed” in the lining of the baby carrier. 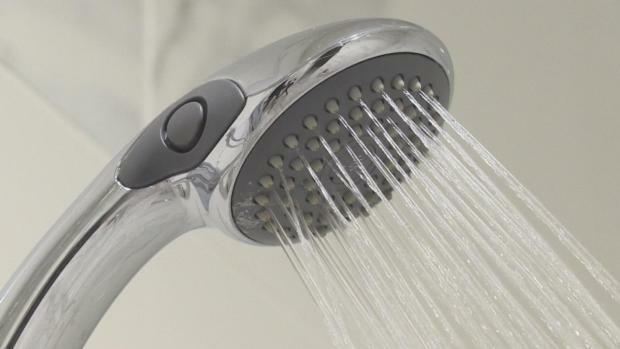 According to one dermatologist, there are four things you need to be doing in the shower to lower your risk of infection, itching, acne and dry skin. KPRC's Haley Hernandez reports. “It could be that the baby took it from the kitchen drawer and folded it up into the bottom of the baby carrier. Or it could be that an adult did it. Your guess is as good as ours. All that TSA knows is that sharp kitchen carving knives have no place in the cabin of an airplane. That’s quite a no-no,” the TSA said in a tongue-in-cheek statement. This incident came in as the sixth weirdest find, according to TSA’s list. CBD is everywhere and News 4 first highlighted the popularity surrounding it months ago, but after putting products to the test the finding results are alarming. The I-Team's Sarah Wallace reports. Meanwhile, coming in at No. 4 is an incident that occurred at Newark Liberty International Airport when TSA officers detected two hand grenades in a carry-on bag on Aug.20, 2018. 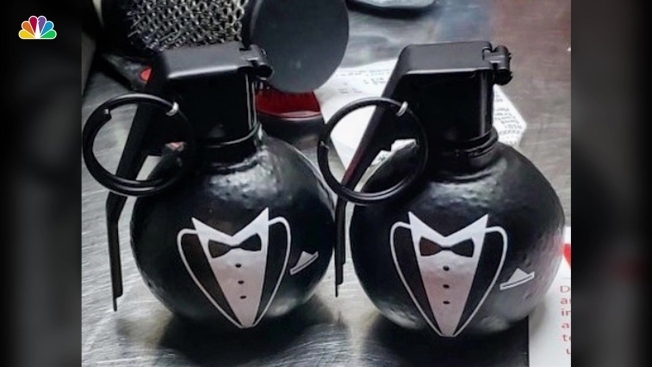 The grenades had a tux painted on them and were accompanied by a large set of instructions to not pack them for a flight. “But alas, this traveler ignored the instructions provided by the manufacturer and it resulted in the grenades being confiscated. They were actually inert grenade-like novelty bottle openers,” TSA said. The agency goes on to say that even novelty grenades will trigger an alarm at the the checkpoint and will delay not only you, but the others in line and your traveling companions. What other weird confiscations took place at TSA checkpoints? Well, according to the released list, an ax, harpoon, switchblade, snakes, an apparent bomb, gigantic scissors, an inert mortar round and a glove complete with finger blades reminiscent of scary movies rounded the Top 10 most unusual checkpoint finds.